Download Casinos vs Instant Play - Which is better? Home / News / Download Casinos vs Instant Play. Which Is Better for You? Download Casinos vs Instant Play. Which Is Better for You? There once was a time when it was a whole lot easier to figure out which online casino platform was better – download casinos or instant play. In fact, it used to be that if a casino offered both, there was a reason most players chose to download the casino software onto their PC over instant play. Have things changed, though? There’s one thing we can say for sure – there’s no cut and dry answer to which kind of online gaming platform is better. That’s because it depends on your preferences. But, there are a few things we can’t deny. For instance, there was a time when players preferred download casinos, feeling they were more stable and safer than instant play alternatives. Once you downloaded the software to your device, you didn’t have to worry about an intermittent internet connection of games freezing mid-way. Another major advantage of download online casinos is that they usually offer the full menu of games, all pre-loaded and ready to start as soon as you log in. What’s more, online slot lovers enjoy the massive range of slots in the download versions. But, things have indeed changed. 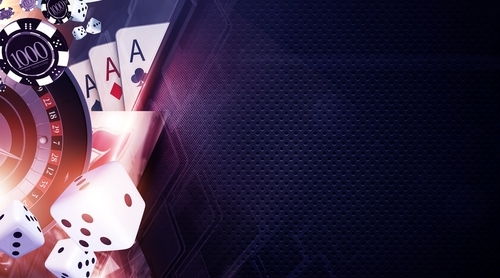 Today, more and more online casinos offer only instant play platforms complete with the full range of online slots. There are those online gamblers who prefer instant play casinos over download for the same reason download casino fans prefer downloads – because it’s reportedly faster. It really depends on the device you’re using. Overall, today’s online casinos offer fast, fun and highly immersive gaming portfolios on both download and instant play platforms. Where Do Mobile Casinos Fit into the Picture? Let’s face it – one of the greatest appeals of online gambling is that you can play your favourite casino games anywhere, anytime. And, since we’re glued to our mobile phones these days, we need to make mention of instant play platforms on mobile devices. Players who prefer to download the casino software to their desktop computers are probably going to continue playing the tables and slots right there, there’s no doubt about that. What’s more, you may not like the idea of all your mobile data being used up so quickly. If you use a 3G or 4G network to spin those virtual reels, take note that you might end up with a bill much, much longer than your current online bankroll. But, there’s no getting away from how fun and convenient instant play on mobile devices is. Just remember to turn on your Wi-Fi connection. Download vs instant play online casino platforms boils down to preference. So, which do you prefer – download or instant? Maybe you prefer both – playing at the download casino from the comfort of your study and then hitting the instant play platform on-the-go. After all, is there a greater thrill than the possibility of hitting the big time while you’re on the bus to work?